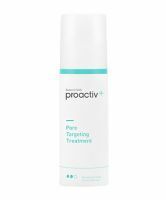 The Pore Targeting Treatment is definitely the best part of the 3-step Proactiv Plus System. It sinks in fast and really does a good job of preventing pimples. I bought this separate from the kit and was using it as Step 3 with the Original Proactiv System. Recently I bought the rest of the Proactiv Plus Kit, which I didn't like that much overall. However, I did like this product. I took off one star because I'm not sure it does a better job of preventing acne than the Repairing Treatment in the Original Proactiv Kit, but it sure does costs more! Hey Kyl77, thanks for your review! I have used proactiv or something similar in the past and have been wondering if this treatment was better than their original one. I was wary since this one has oil in it but the original has cetearyl alcohol as well as ceteareth-20 which are known to clog pores. you've inspired me to maybe give this a try. is it as heavily fragranced as the original? also, is it as greasy/thick? the original proactiv repairing treatment leaves a pretty significant sheen for me, I actually prefer the knock off versions because they feel thinner and less thick. I really like this treatment. 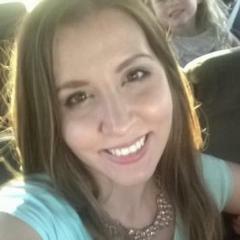 It doesn't irritate my skin and smells better than the old formula. I feel like this also is making my acne disappear faster than the original proactiv benzoyl peroxide treatment.